﻿ ALFRED A. DESIMONE M.D. Dr. Alfred A. DeSimone graduated from the University of Miami and completed his residency at Boston University Medical Center. He is Fellowship Trained in Sports Medicine specializing in Complex Knee and Shoulder Reconstructive surgery. 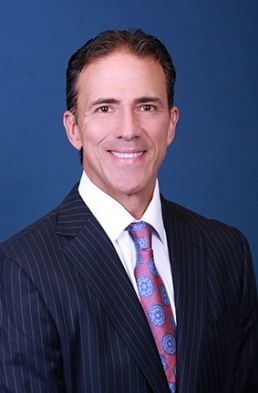 He has been in private practice for over 20 years and is currently the Director of Sports Medicine at the Sports Medicine Associates of South Florida. This multi-subspecialty group consists of 9 physicians and 3 office locations in the West Broward area. He treats professional, collegiate and community athletes, and participated as Team Physician for the U.S. Olympic Skiing Team (1995), National Rugby Team (1994-1995) and The Florida Panther Hockey Association (2004-2007). Dr. DeSimone has a true passion for sports medicine as he is committed to providing the best possible medical care and treatment for his patients. He recognizes the importance of communicating with his patients to help them understand their diagnosis and treatment plan. He is dedicated to maintain the highest standards of medicine by remaining current in his professional training and certifications. He also acknowledges the value of education and continues his participation as guest speaker for major television networks, lectureship circuits and medical conferences. As one of our local sports medicine physicians, Dr. DeSimone also maintains an interest in the health, wellness and education of the student athletes within our community. Since 2008, his non-profit organization, “Charity for Champions”, has provided over 320 scholarships to the student athletes within Broward County. With a desire to remain as an active participant within this community, he will strive to provide the highest quality of medical care, always remembering that compassion and commitment are in the best interest of his patients.